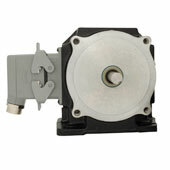 Harowe housed resolvers are the ideal choice for high temperature, high shock and vibration and dirty environments. 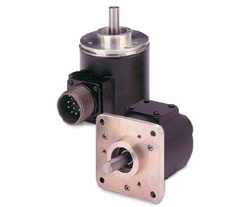 Heavy duty housed resolvers offer the reliability of Harowe brushless resolvers inside a sealed package with various IP rated models available. 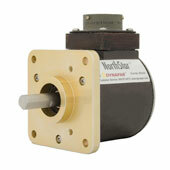 Housed resolvers are available in size 11 servo mount and size 25 servo or flange mount. The NorthStar R56 also utilizes Harowe's resolver technology in a heavy duty housing designed to replace resolvers used in the Reliance Automax DSC system. 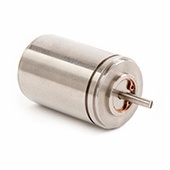 Compact 1.1" diameter brushless house resolver, high accuracy, servo mount, with max shaft size of 0.12"
Servo or flange mount 2.5" diameter shafted resolver with optional IP65 rated housing, withstands 200 G shock and 40 G vibration. 3/8" shaft size.